A couple more shots taken at the California Poppy display on Monroe Street, right here in Murrieta. Love the purple blooms! Flowers are wonderful! 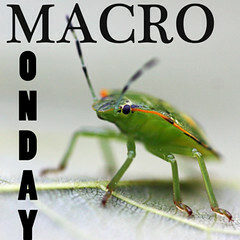 The detail is great in those macros - lovely shots. WOW - these are gorgeous - so beautiful. Gorgeous! What is that first flower? very nice! i love love love CA poppies and miss seeing them everywhere! One of my favorite flowers. Great shots! Wonderful shots, Jan. I'm dreaming of spring!